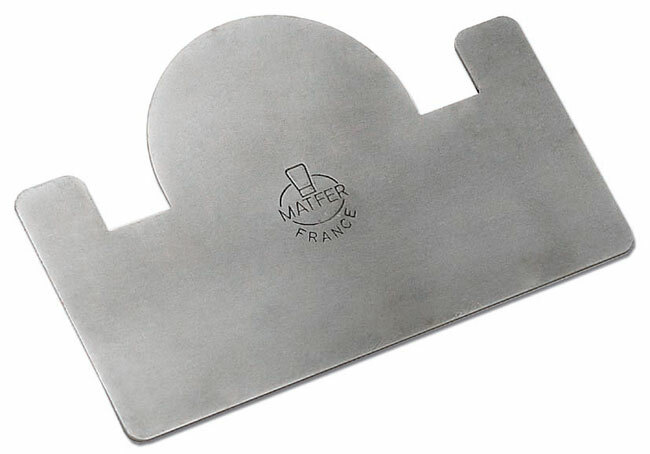 This comb specially shaped to suit the round Matfer 3 1/8" wide buche cake molds and helps to make mousse-based or ice based double flavored buche cakes. The 1st flavor can be spread and smoothened in a regular and uniform manner in the mold. The remaining space then just needs to be filled with the 2nd flavor by smoothening with the spatula. 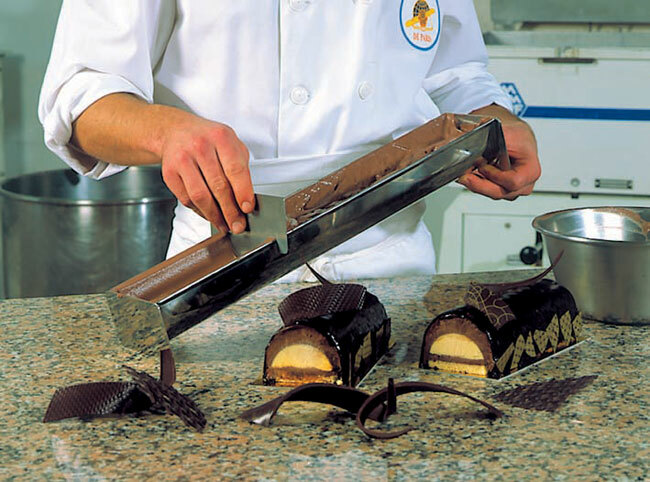 Thus the buche cake looks perfect when cut. Stainless steel.